It's no surprise that many potential bird owners want a bird who is friendly, gentle, and well-suited to being a companion pet. These traits are even more important for anyone with little or no experience caring for pet birds. It's easier to bond with and care for an animal who has a natural disposition for being friendly and affectionate than one who is frightful and aggressive. It's almost a guarantee that all bird owners will sustain a bite here and there. However, it is possible to minimize the risk by choosing a species known for having a gentle and sociable demeanor. These birds have a reputation for being some of the most loving and friendly companions around. One of the most popular pet bird species in the world are budgies, which you may know as parakeets. 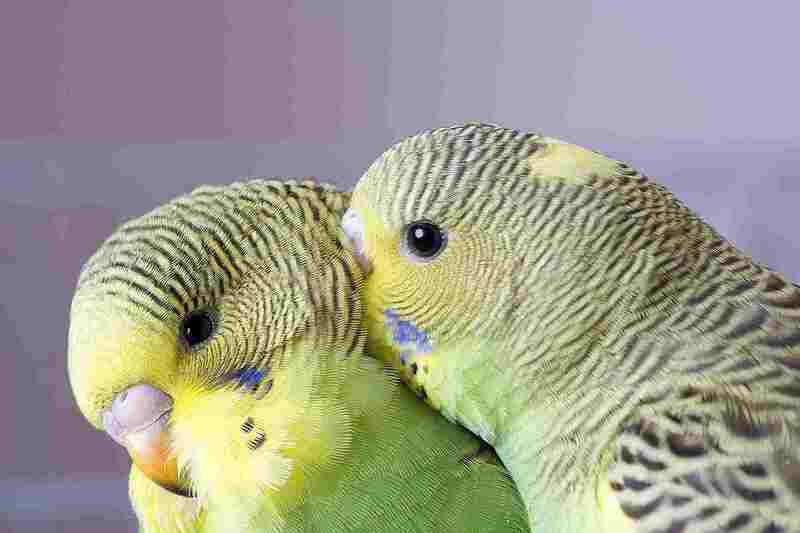 When properly tamed and cared for, budgies make extraordinarily friendly and affectionate pets. On top of being small and easy to care for, budgies take well to training and can learn to perform many fun bird tricks. Best of all, budgies have the ability to learn to talk. They delight people of all ages with their cute and comical little voices. The beautiful and captivating cockatiel is another great choice for anyone looking for a friendly and affectionate pet bird. Hailing from Australia, these birds make excellent pets when hand-fed as babies and raised in loving environments. While they don't normally learn to talk, cockatiels are exceptionally intelligent. Many learn to mimic common household noises such as doorbells, telephones, and microwaves. Being rather small, they don't require as much space as larger parrots. Therefore, they're easier to house and care for than many other hookbill species. If you prefer large birds but still want a pet that will be friendly, loving, and affectionate, a cockatoo may be your best bet. These beautiful birds bond very strongly to their owners and prefer to be with them all of the time, if possible. It is imperative that you make sure that you have plenty of free time to spend socializing with your bird. Cockatoos can become depressed if they aren't given enough attention. They may resort to plucking or other destructive behavior as a result. Parrotlets have enjoyed a great surge in popularity as pets around the world. Cute, tiny, and easy to take care of, these little birds are known for having personalities that are much larger than their tiny bodies. Those who consider a pet parrotlet must have plenty of time on their hands to play and socialize with their birds so they remain tame. However, for the right owners, parrotlets make extremely loving pets. Hyacinth macaws are the largest parrots on Earth. It may come as a surprise to some that these birds are also known as "gentle giants." Known for their friendly and sociable personalities, they love nothing more than to spend time playing and cuddling with their owners. Due to their incredible size, it can be difficult for most people to provide proper housing for these birds. However, those who are able to meet their needs are always rewarded with an incredible relationship with their feathered friend. If you are interested in learning more about what it takes to care for a hyacinth macaw, contact a breeder near you. Try to schedule an appointment to meet with them and their birds so you can get a feel if it would be a good bird for you.